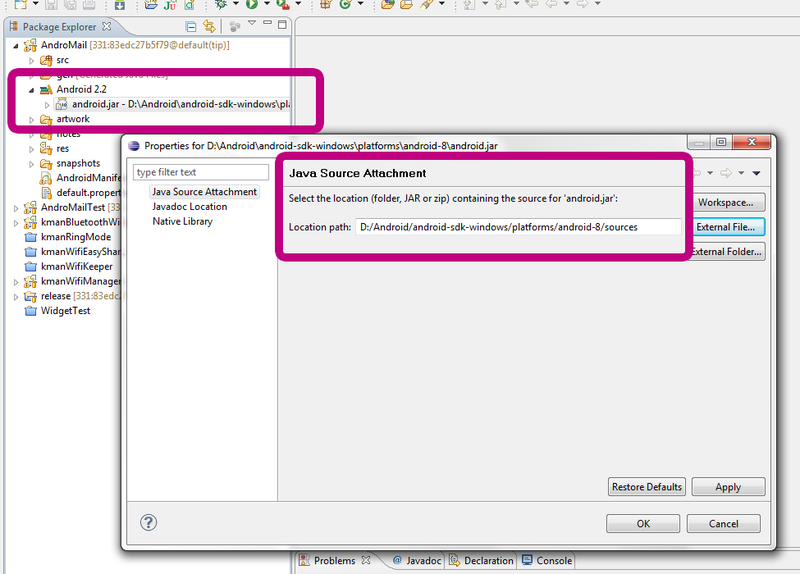 As you can see from my previous posts, getting code assist to work well for Android projects in Eclipse Helios can be done in one of two ways. 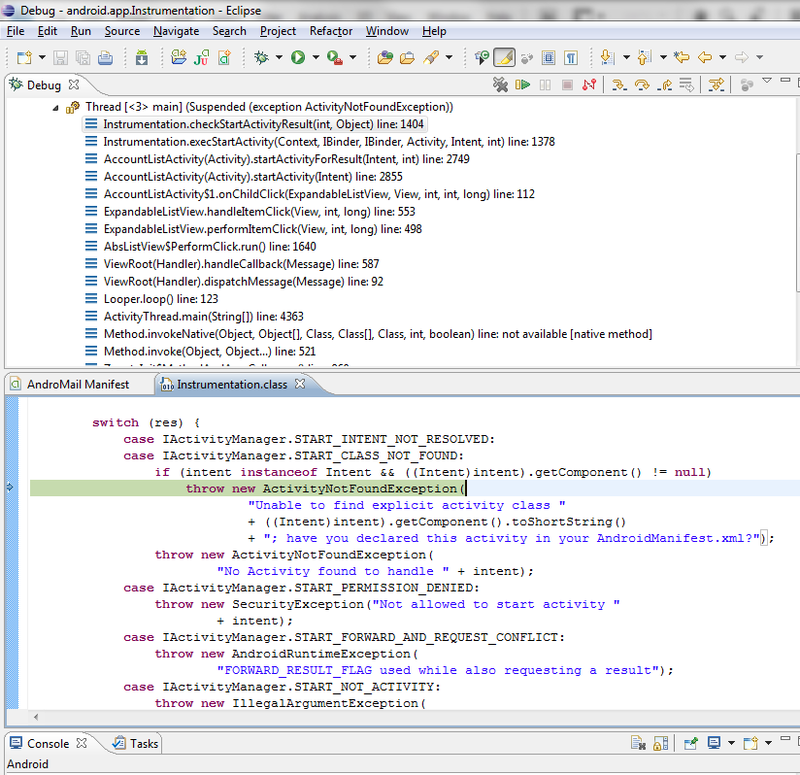 You can either uninstall Android JavaDoc package and lose method and parameter descriptions in code assist, or install a patched eclipse JDT plugin. 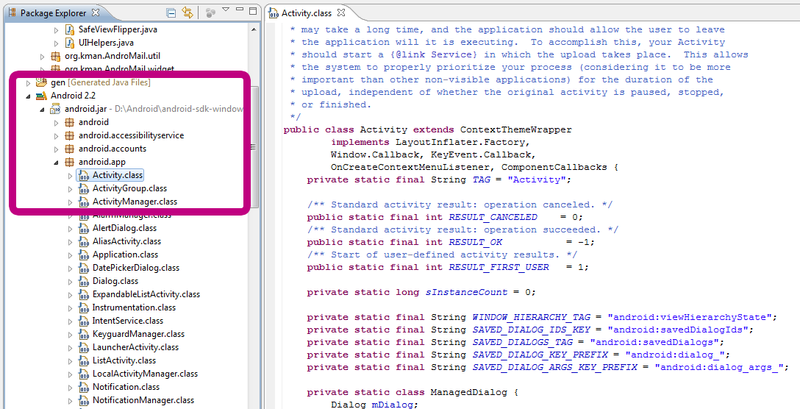 There is a third way, and you get Android sources for easy referencing and debugging too. Best thing, it’s really simple and only takes three steps. 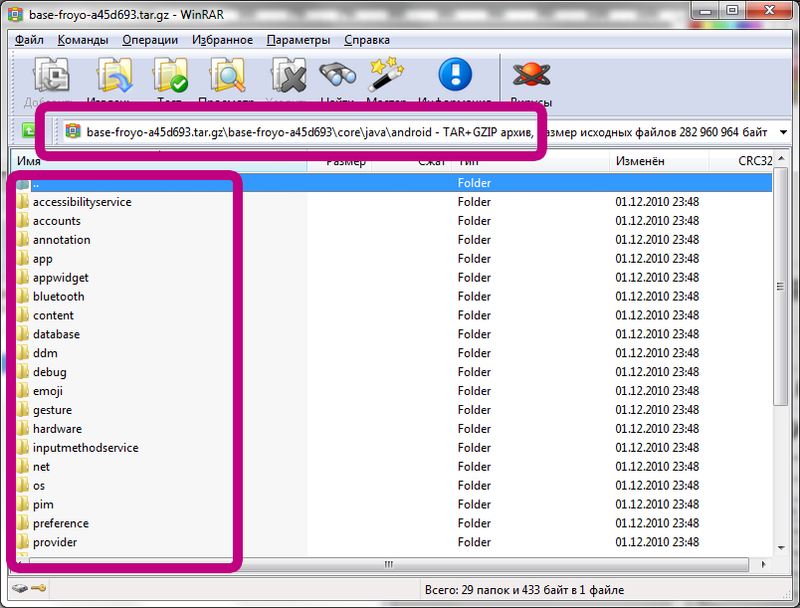 Update January 29, 2011: make sure to also check out this post, which shows how to build with one version of Android and debug with sources for another. If you don’t build Andorid system images, and don’t have Git and repo tool, get the sources from http://android.git.kernel.org as a tarball. Eclipse wants sources in the right place, organized by package name, the same way the source code for your project is organized. 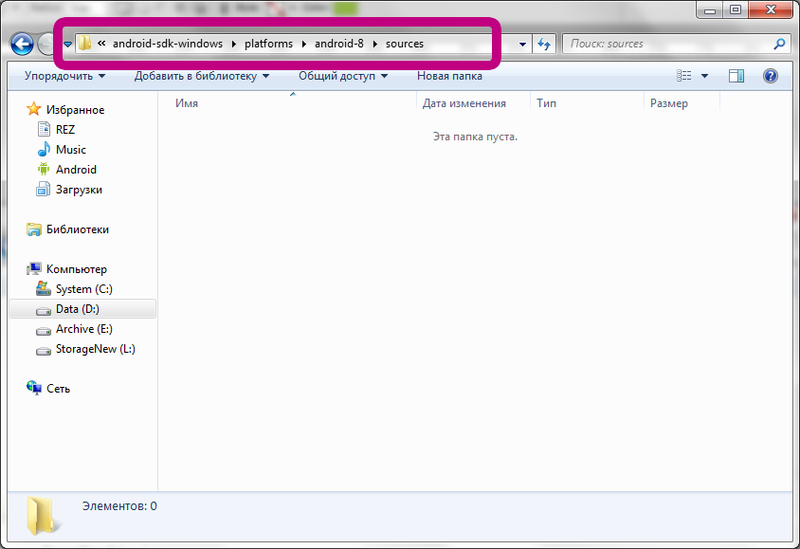 That right place is a “sources” directory that you should create under your android-sdk-windows\platforms\android-VERSION. After closing this dialog, refresh your project (press F5 in the project explorer or right-click on your project and choose Refresh). Just to let people know, the Sources Plugin DOES NOT WORK, source files are out of date, resulting in misaligned source while debugging. 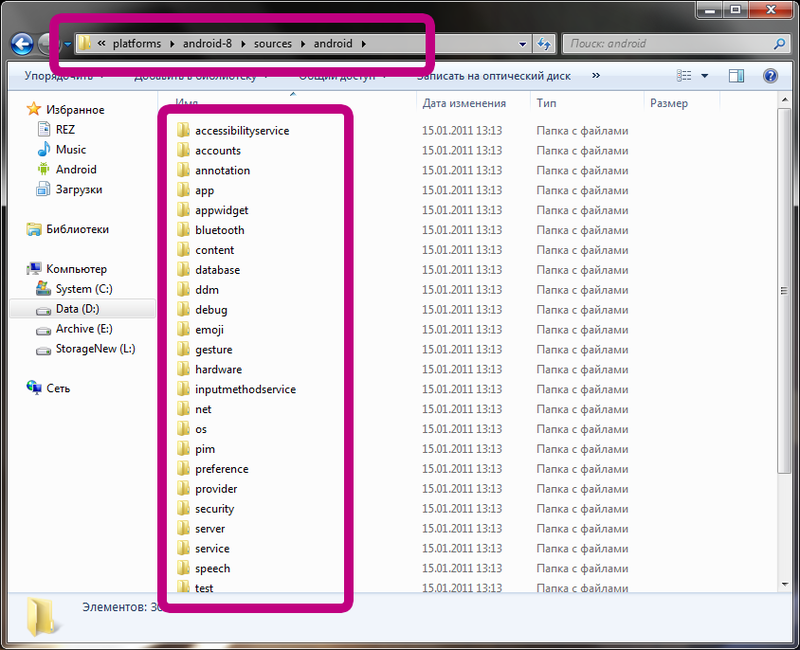 I never bothered to download it, prefering to get the sources for my device directly from the repo. However, I do know that Peco recently updated the plugin to include more Android versions. The good thing is that the JavaDoc slowness issue has been accepted for Eclipse 3.6SR2. This works for me. I’m glad that you’ve posted this solution in plain English so I can understand it. It works nice. Now I like programming my Android apps even more.